Pass the Series 65 allows you to cover all Series 65 topics wherever you go. Pass the Series 65 is designed to be a textbook replacement for the Series 65 Uniform Investment dvisor Law exam. The flashcards provide detailed explanations that are easy to understand whether you have a strong finance background or if you are new to the securities industry. Follow us on Facebook and Twitter for study tips and updates. Send us your questions or suggestions to support@passingscorefinance.com. We'd love to hear from you! www.facebook.com/passingscorellc www.twitter.com/passingscore Features Comprehensive coverage of every Series 65 topic Make flashcards to keep your own notes Search function helps you find what you need Set aside cards you need to review in the Favorites section Universal app for your iPhone, iPod Touch, iPad or iPad mini View cards in random order Clean, welldesigned layout focused on the content Topics include Clients Ethical Practices Regulatory Environment Fraud & Prohibited ctivities Enforcement Economic Factors Quantitative Methods Investments Retirement & Savings Portfolio Management product of Passing Score Passing Score is dedicated to creating mobile products that help you pass the most difficult finance exams and understand complex financial concepts. Check these links to find your download for Pass the Series 65 for & iOS or for your device iPod TouchiPhoneiPad. 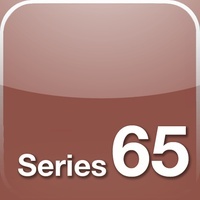 The app Pass the Series 65 is compatible with te following devices.